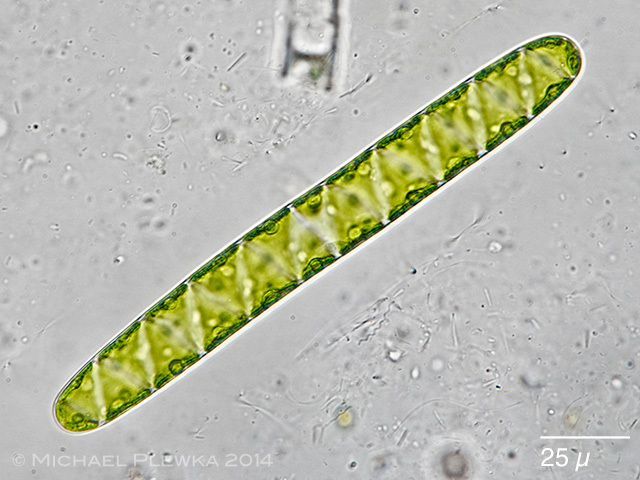 Spirotaenia condensata, a species with a single ribbon-shaped parietal chloroplast which is twisted into a helix. 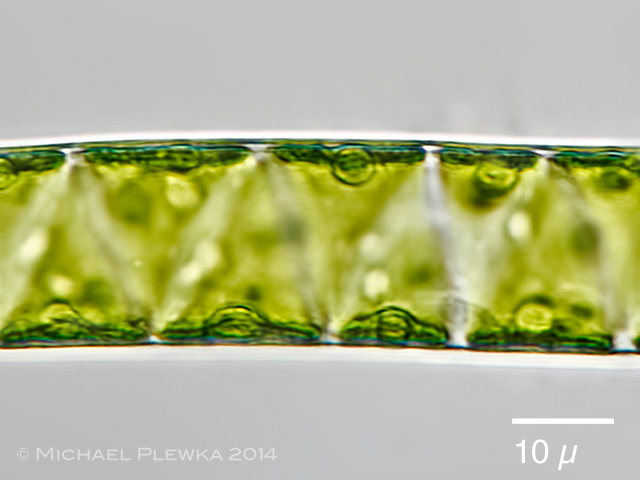 This is in contrast to Tortitaenia which has a central chloroplast with radiating spiral ridges. 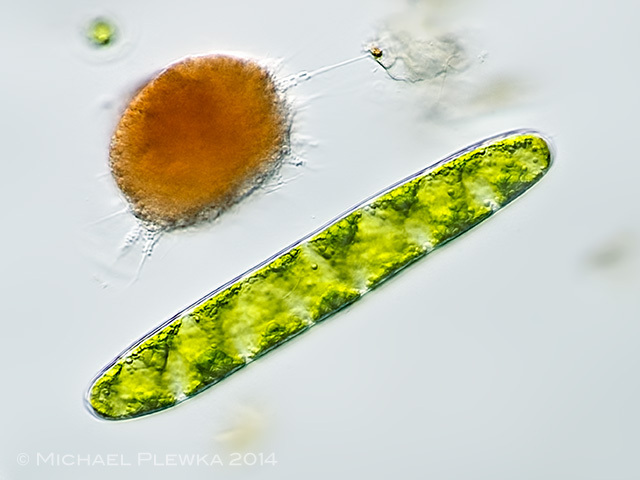 Focus plane on the periphery of the cell which gives the impression that there are two chloroplasts. Some pyrenoids are visible. The bacteria-free space around the cell gives evidence for a mucous sheath around the cell. 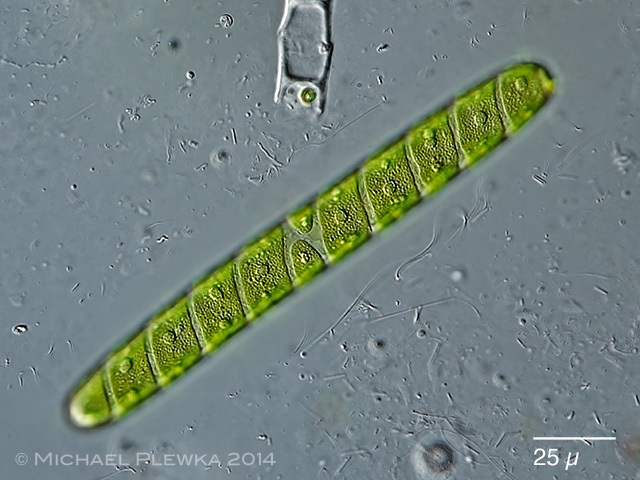 Spirotaenia condensata, same specimen, optical transect of the center of the cell. 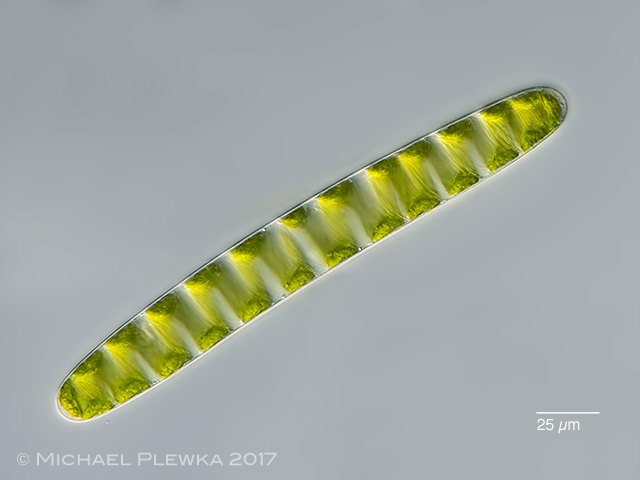 Spirotaenia condensata, crop of the above image showing the elliptic pyrenoids protruding the chloroplast. Spirotaenia condensata, another specimen from (3).